Do you know how hard it is to take photos of something while you are trying to make it? Hard. So I'm going to change up my Food Friday posts a bit by just posting photos of the finished product. If you miss the step by step photos let me know and I'll bring them back. 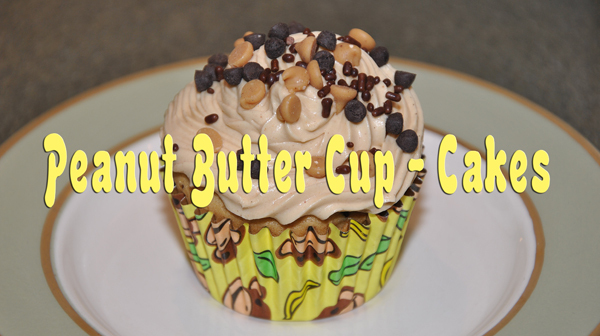 This week I bring you Peanut Butter Cup-cakes. 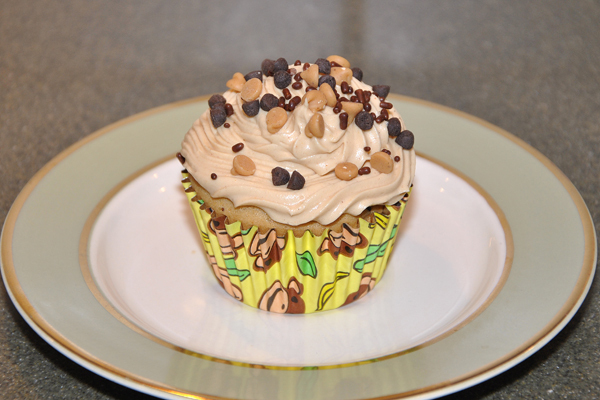 (print recipe HERE) I found this recipe in the Cupcake Bible my sister and nieces got me for my birthday and boy are they delicious! I ended up making these cupcakes twice last month. Once for my nephew's birthday and then again for when my brother visited. The cake is most and light and the frosting is so smooth that I promise you will want a second one after you inhale the first cupcake. 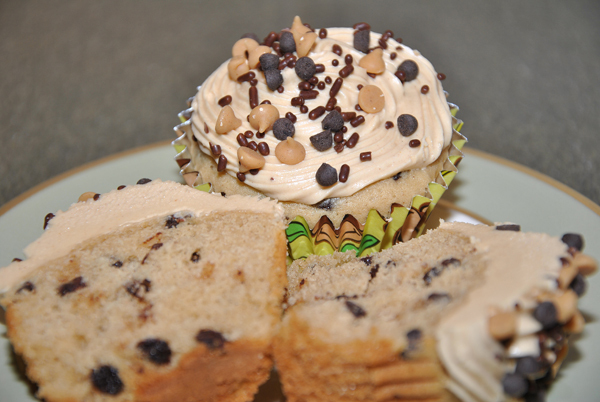 The one addition I did make to this recipe (print HERE) was to add Reese's Peanut Butter Dessert Topping (see HERE) which can be found in the peanut butter aisle at your market. I also want to stress how important it is to alternate adding your flour mixture and milk. 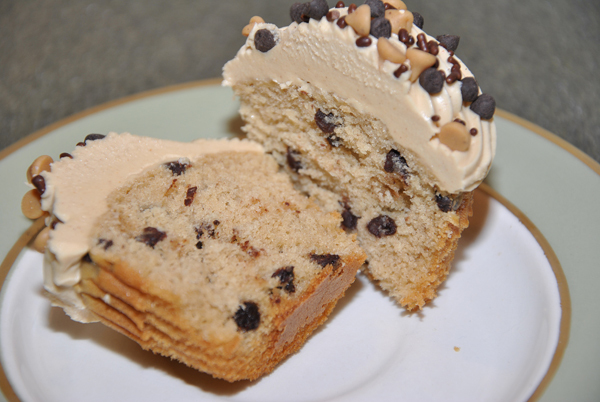 This gives you cake a light fluffy texture. One last note-when I made the icing I added enough milk to make it a little runny-no soupy! This gave the icing a softer, smoother texture. After icing the cupcakes I popped them in the fridge for a bit for the icing to settle. Omg! Those look amazing!! Delicious! I could definitely go to town on those right now!